According to scientists from Chalmers University of Technology, Sweden, a shift to renewable sources for electricity, heating, and fuel, while also providing new opportunities for numerous industries to produce large quantities of renewable products, is very likely. The scientists, who have been researching energy for a decade, especially gasification of biomass, now, see an array of new technological achievements. "The potential is huge! Using only the already existing Swedish energy plants, we could produce renewable fuels equivalent to 10 percent of the world's aviation fuel, if such a conversion were fully implemented," says Henrik Thunman, Professor of Energy Technology at Chalmers. How to execute a shift from fossil fuels to renewables is a complicated issue for many industries. For heavy industries, such as oil refineries, or the paper and pulp sector, it is particularly urgent to begin moving, because investment cycles are very long. At the same time, it is crucial to obtain the right investment as one may be forced to replace facilities or boilers in advance, which means huge financial costs. Owing to long-term strategic efforts, scientists at Chalmers have recently paved the way for major changes, which could be applied to new installations, as well as be executed at thousands of present-day plants worldwide. The solution put forth involves extensive gasification of biomass. This technology itself is not novel. Approximately explained, what is occurring is that at high temperatures, biomass is changed into a gas. This gas can then be refined into end-products which are, at present, produced from oil and natural gas. The Chalmers scientists have demonstrated that one potential end-product is biogas that can substitute natural gas in current gas networks. Formerly, the development of gasification technology has been hindered by huge problems with tar being discharged from the biomass, which hinders with the process in a number of ways. Presently, the scientists from Chalmers' division of Energy Technology have demonstrated that they can enhance the quality of the biogas via chemical processes, and the tar can also be managed in totally new ways. This, along with a parallel development of heat-exchange materials, offers totally new possibilities for converting district heating boilers to biomass gasifiers. "We rebuilt our own research boiler in this way in 2007, and now we have more than 200 man-years of research to back us up," says Professor Henrik Thunman. 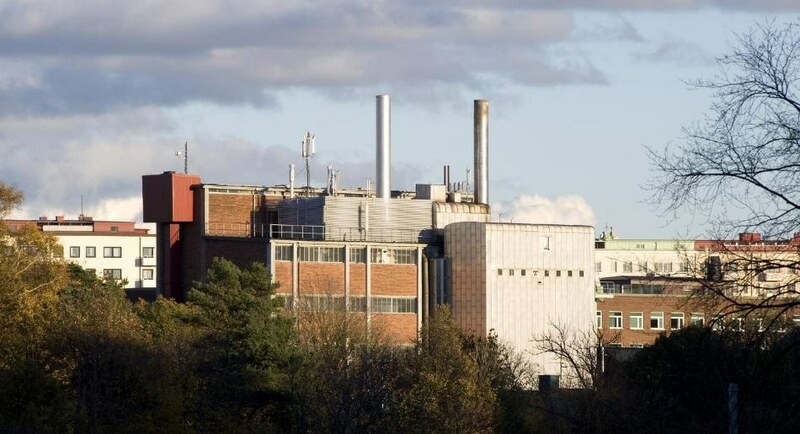 "Combined with industrial-scale lessons learned at the GoBiGas (Gothenburg Biomass Gasification) demonstration project, launched in 2014, it is now possible for us to say that the technology is ready for the world." The plants which could be changed to gasification are oil refineries, power and district heating plants, sawmills, paper and pulp mills, and petrochemical plants. "The technical solutions developed by the Chalmers researchers are therefore relevant across several industrial fields", says Klara Helstad, Head of the Sustainable Industry Unit at the Swedish Energy Agency. "Chalmers´ competence and research infrastructure have played and crucial role for the demonstration of advanced biofuels within the GoBiGas-project." For many years, the Swedish Energy Agency has funded energy research and infrastructure at Chalmers. How much of this technological prospect can be achieved depends on the economic circumstances of the coming years, and how that will impact the willingness of the industrial and energy sectors to convert. The availability of biomass is also a critical factor. Biomass is a renewable resource, but provided people do not deplete the conditions for its biological production. There is thus a boundary for total biomass output.